Without daily cleaning, your pet’s mouth can end up filled with bacteria. When combined with saliva and food particles on the teeth and gums, this can lead to the buildup of plaque and, eventually, tartar. As plaque and tartar accumulate over time, sensitive tissues around the teeth become inflamed. If left untreated, dental disease will progress, causing tooth decay, tooth loss, pain, and infection. Bacteria from an infected mouth can leach into the bloodstream, causing widespread damage to the heart, lungs, and other major organs. If the thought of brushing your pet’s teeth sounds less-than-pleasant, you aren’t alone. Most pet owners rarely (if ever) brush their pet’s teeth, but a daily once-over with a pet-specific toothbrush and toothpaste is the best way to prevent dental problems later on. 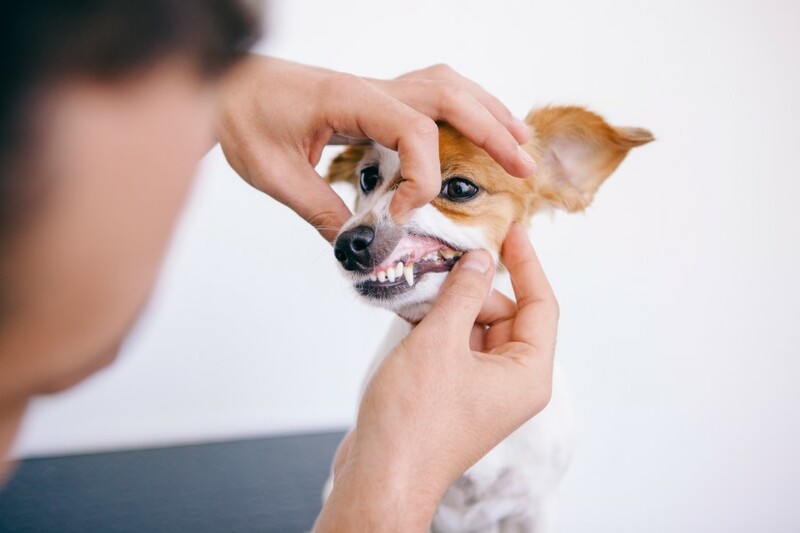 Besides a good home care regimen, your pet should also receive a professional oral exam once a year (this can be part of their regular wellness checkup). A good oral exam can alert us to any signs of trouble and allows us to address problems early on before they become serious (and expensive). Thanks to continued advancements in veterinary medicine, our pets are living longer, healthier lives. There’s no reason you and your pet shouldn’t take advantage of the incredible wealth of knowledge we have when it comes to pet dental care. Please don’t hesitate to contact us for more information!